As a nail artist, you find inspiration from many different sources. That inspiration can often come from studying the work of other artists who create in completely different mediums. We recently caught up with former professional figure skater Anne Powers, who melds skating and visual art by creating paintings with ? what else? ? an ice skate blade. What is your background as a figure skater? I?m from Oshawa, Ontario, Canada, and I started skating at four years old, first as a singles skater, then as a pairs skater. My partner and I competed both nationally and internationally and were members of the Junior National Team. How does your skating influence your visual art? The ripple of a crisp edge cutting through the ice is a sound and feeling that I hold most dear to my heart. Skating creates tracings on the ice that produce patterns and designs; these designs become art, each with their own unique meaning, shape, and curve. 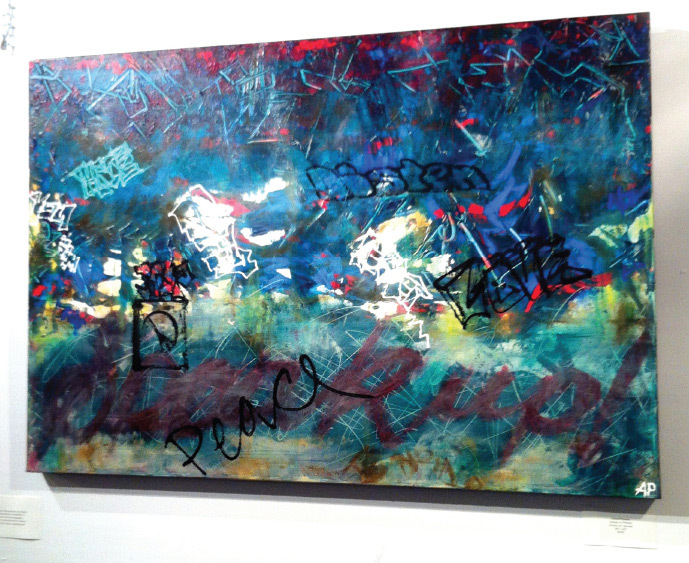 Through painting, I have expanded these on-ice tracings and transformed their movement and interpretation to a canvas. How did you get the idea to paint with a skate blade? This is a question that I frequently get asked! I was in my basement one day and noticed an old pair of skates that happened to be sitting beside a blank art canvas. 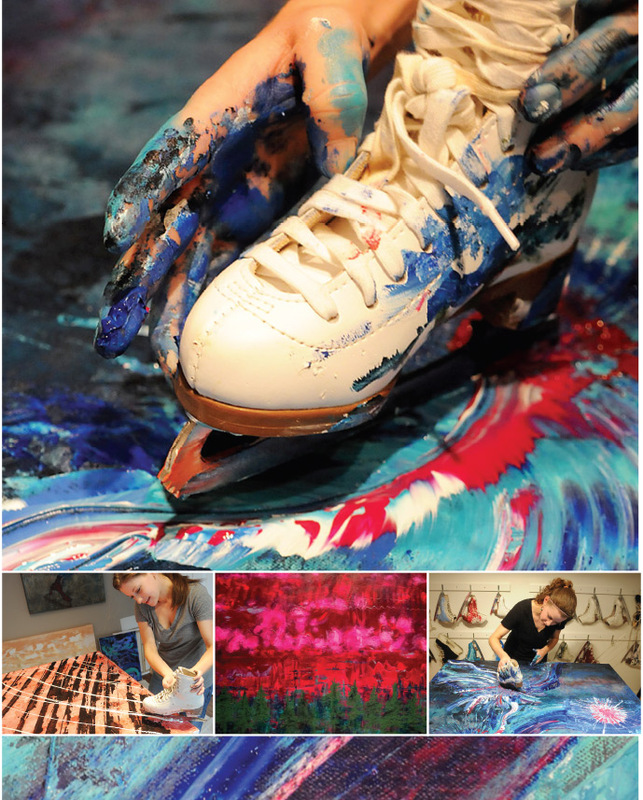 As I stared at the skates and canvas, the idea came to me to use my skates as brushes. What is your advice to other artists about inspiration and innovation? My best advice is to trust yourself and to go with your gut. Listen to and channel your inner creative self. Do not let self-doubt or outside factors diminish your artistic spirit. Learn to let go of achieving perfection, and draw inspiration from your connections with friends, family, and your surroundings.